If you’re thinking about starting or advancing your career in health and fitness, COTY is the place for your unique journey. As the demand for yoga and health maintenance professionals continues to grow, your training in remedial yoga therapy will open up entirely new doors. You’ll be able to work with a range of employers or even start your own business, all while doing something that keeps you healthy and happy. There aren’t many careers where you get to see your clients physically and mentally change their lives. But that’s exactly what a career in remedial yoga offers you – an opportunity to help others feel healthier and happier. Yoga teaching is truly the vocation of making people feel good. 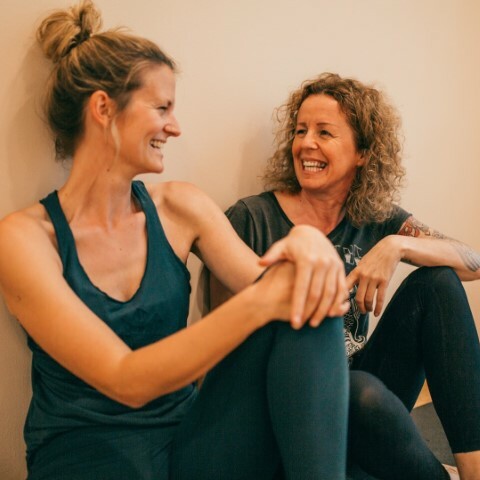 Our courses in remedial yoga therapy train you to bridge the gap between the health and fitness industries so you can make a real impact on the health and wellbeing of others. If you wake up each morning trying to think of ways not to go to work, then perhaps it’s time to think of a way to change your career. Working in the health and fitness industry can be immensely rewarding for those who find gratification in giving to others. There are so many enjoyable work settings your training can take you to: from yoga studios, to gyms, to complementary health clinics, to working with sports teams. Escape the grind of the 9-to-5. Being your own boss gives you freedom to set your own hours and decide where and how you want to spend your days. You don’t have to choose to work in an existing yoga studio or an allied health care clinic. You could open your own studio or make your home, beach, park or gym your ‘office’. Training in remedial yoga therapy will create opportunities in so many arenas, you’ll get to choose exactly what paths you take. If you’re approaching your gap year or looking to do some travelling, doing yoga training now will help you support yourself before you head off to uni or elsewhere in the world. Once you’re trained as a yoga teacher or yoga therapist, you can pick up and take your skills anywhere in the world, earning income along the way. Imagine if your job was helping people relax and unwind in a beautiful bungalow in Bora Bora, the grounds of a villa overlooking Lake Como or a group of friends at uni on the grass. How good would it feel to work in an industry where you will be supported and cared for by health care professionals who are just as passionate and involved in helping others as you are. Whether you’re helping people deal with stress, chronic illness or recover after an injury you will always feel like you’re making a positive contribution. You’ll come home from work feeling better that when you started. Becoming a yoga teacher is a win-win. While you help others achieve a healthy mind and body, you’ll get to experience the benefits of yoga and positive energy all around you, every day. You’ll get to help motivate others back to health, balance, and happiness. A career that keeps you motivated, engaged and feeling fantastic, is what yoga teaching is about.